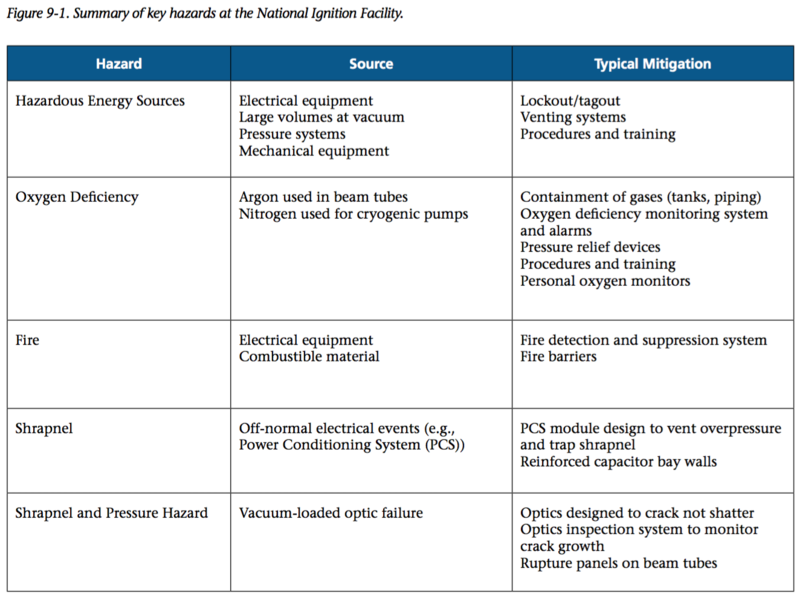 NIF hazards have been evaluated in detail, and mitigations have been put in place to control these hazards. NIF’s primary method for controlling these hazards is through engineered controls. When engineering solutions are not feasible or identified hazards cannot be engineered completely out of normal operations/ maintenance work, safe work practice and other forms of administrative controls provide additional protection along with the use of Personal Protective Equipment (PPE). 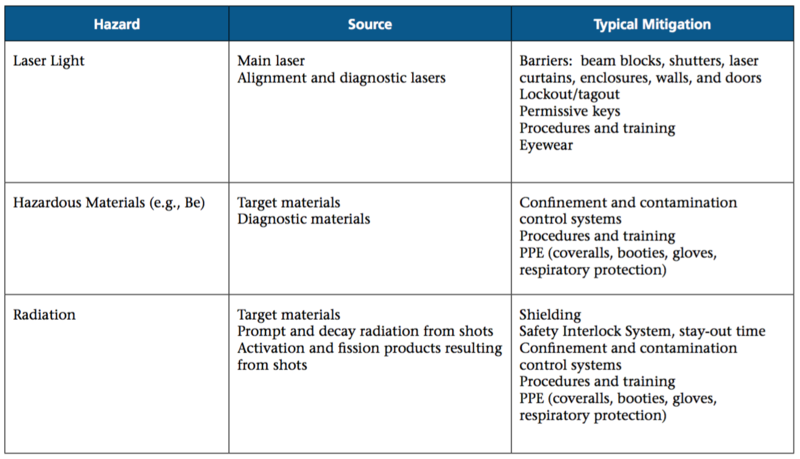 A summary of the key hazards at NIF, their sources, and typical mitigations is provided in Table 9-1.